One week a year the lucky few are invited to have a tour of Abbey Mills pumping station in East London. 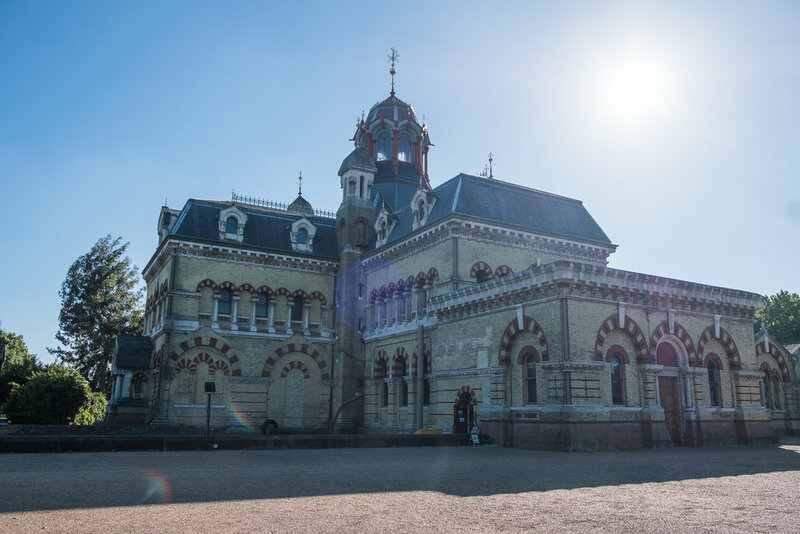 A magnificent, still functioning, Victorian pumping station that has all the attention detail that you would expect in a stately home. …I had to shuffle* through other peoples poo looking like one of the medics in E.T! My white hazmat suit, hard hat and waders were all that protected me from Aunt Dot's Indian take-away from the night before. You see 'it', you feel 'it' brush past you but it is still a little unsettling despite the fact you know what to expect floating in a sewer. The Sewer trip is really the unsung hero of the day, the perfect brickwork lining the miles of walls and ingenious design hidden out of sight really reminds me of the inside of an Apple Mac or so the story goes, attention to detail and beauty that the designer knows only a very few will see. Once back above ground and scrubbed clean we were whisked away to the pumping station itself. Designed By Sir Joseph Bazalgette (architect of the Victorian London sewer system) the cruciform building is the overground manifestation of the sewer system, that is to say it reflects the detailing and expense that is hidden underground. The exterior has 7 styles or architecture from Russian to Byzantine Moor and is constructed from special bricks and mortar and finishing details that include un-repeating stonework, bespoke moulded 'twisted' drainpipes and an interior that is a heady mix of Dr Who's Tardis and Cyber Punk married with industrial revolution oversized engineering. Breathtaking!. Our Guides for the day were the staff of Thames Water and the Tideway project (who are undertaking the massive upgrade project). All could not have been more knowledgable, welcoming or professional! *The sewer workers adopt a shuffle as they walk through the brick-lined tunnels to save themselves from slippy floors and unseen obstacles. Note: It does make you look like you have shat yourself mind, which is ironic.